With over 5,000 square feet of playing surface, the Junior Tennis Court is ideal for fine-tuning your skill set whether practicing singles or doubles. 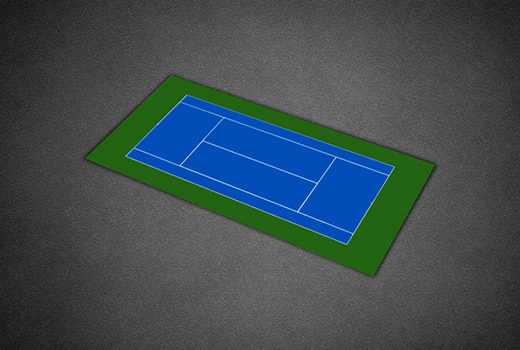 The court features pre-painted base and service lines as well as additional relevant lines. The 51’ x 100’ Full Court kit is available in 3 color combinations as shown below. 51' 0" x 99' 11"
51' 2" x 100' 3"